Why Doesn't My ELM327 iPhone Adapter Work? If your ELM 327 scanner won’t “pair” with your phone, we’ll assume that your problem lies with the way iOS devices approach Bluetooth. If you purchased a generic ELM 327 device that uses Bluetooth as the interface method, then the unfortunate reality is that it won't work with your unmodified iPhone. You may have better luck with a jailbroken device, although jailbreaking an iPhone just for the hope that it might work with your cheap ELM327 adapter probably isn't the best idea. 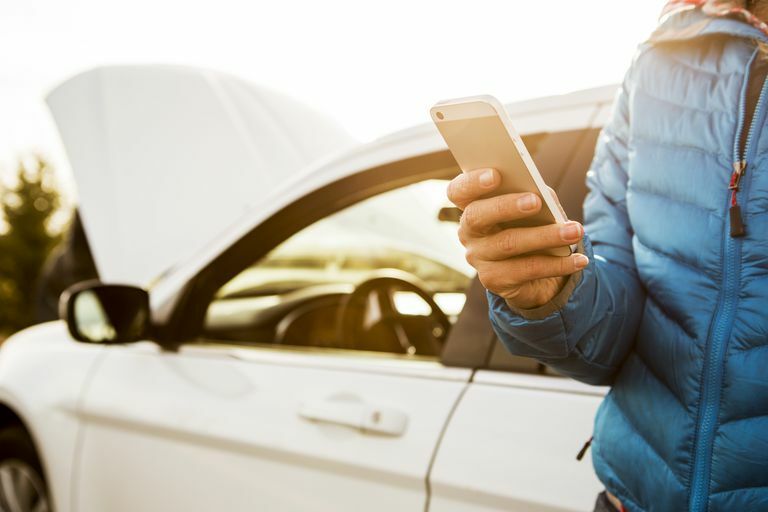 Better options are to spend the money on an ELM327 scanner that is specifically designed to work with iPhones, pick up a bargain basement Android phone or tablet, or even just buy a standalone OBD2 scan tool. Most inexpensive ELM 327 scanning tools include a built-in Bluetooth chip, which is the way that they are able to wirelessly interface with a phone, tablet, or computer. The choice to rely on Bluetooth is primarily due to the fact that both Bluetooth radios and the ELM 327 chip itself are inexpensive to produce, especially for manufacturers that use unlicensed, cloned versions of the ELM 327 chip instead of official components from ELM Electronics. If you get a non-buggy unit with a working ELM 327 microchip, then the combination works pretty well, since Bluetooth is more or less ubiquitous these days on mobile devices like tablets, smartphones, and even laptops. The main drawbacks of Bluetooth aren't really an issue in this type of application either, and the secure nature of the protocol means that you don't have to worry about anyone surreptitiously gaining access to information about your car. The problem with ELM 327 devices relying so heavily on Bluetooth lies in the way that iOS devices deal with Bluetooth pairing. Apple is infamous for the tight control that they hold over their devices — in terms of both hardware and software — and Bluetooth implementation in iOS devices is no exception. While Bluetooth is a cross-platform standard that essentially allows any device to connect to any other device, it isn’t a free for all. The technology uses a number of different “profiles” to facilitate communications between an enormous variety of computers, handhelds, and peripherals, and not every device supports every profile. In the case of iOS devices, the default profiles are the ones used for input devices like Bluetooth keyboards and headsets, and the other profiles simply aren't available. This basically just means that your iPhone has no idea how to communicate with your ELM 327 Bluetooth scanner. If you're interested in the particulars, the Bluetooth implementation included with iOS devices doesn't support the Serial Port Protocol (SPP). Since that's the protocol used by Bluetooth ELM 327 scan tools, iPhones are limited to Wi-Fi ELM 327 devices. Some older iPhones did support SPP via the dock connector, theoretically making a wired connection possible, but getting that sort of thing to work isn't something that most end users would be capable of. If you’ve already bought an ELM 327 Bluetooth scanner to use with your iPhone, you have a few options. The best option is to return the device and buy one that will work with your phone. If you can find an ELM 327 Wi-Fi scanner or one that has a USB, dock, or lightning connector, it will probably work with your iPhone. The problem is that ELM 327 scan tools that use anything other than Bluetooth aren't terribly common. These devices also tend to be more expensive than models that use Bluetooth, and there's no guarantee that one will work with your iPhone unless it actually has the Apple seal of approval. If you can find an ELM 327 scan tool that fits that description, then it will work just fine. The next best option is to use the scanner you bought with something other than your iPhone. If you have an old Android phone or tablet laying around that you don’t use anymore, it will probably pair up with your scanner just fine. Since ELM 327 scanner apps don't require a data connection to work, you can easily sideload one onto an old phone that doesn't even have a carrier connected to it anymore. Of course, that means you could always just pick up a bargain basement used phone or off-brand Android tablet for use with your cheap ELM 327 scan tool. Since this type of application isn't terribly resource intensive, most scan tool apps will run on even very old phones. If you only use Apple devices, and you have no interest in picking up an Android just to use as a scan tool, then you can also try lugging your MacBook out to your car. This may not be an ideal situation, but it will probably get the job done without spending any extra money. ELM Electronics maintains a list of OSX software titles that are capable of interfacing with ELM 327, some of which is even free. If you’re dead set on getting your ELM 327 iPhone Bluetooth connection to work, then two things would have to happen. First, you would have to jailbreak your iPhone, since that's the only way you could even theoretically gain access to the Serial Port Protocol. Then you would have to find an iOS app designed to take advantage of that configuration. Of course, jailbreaking an iOS device is never a task to be taken lightly, and it’s vital that you fully understand the procedure before you start. Otherwise, you may end up bricking your phone instead of turning it into an iPhone ELM 327 scanner.